Voice Dialogue seems to be something that many people just "get". The idea of different inner selves makes sense, and it is liberating, as we find we can have more choice in our life. Some (like me!) rejoice to find that they’re not crazy after all, as they come to understand and embrace their primary selves and the opposing (disowned) selves within them. As we understand more about our inner selves we also understand the selves in others. Through understanding how we bond with others, we can discover how to be happier in our working and personal relationships. Expressing my singer, writer and musician selves has been a big part of my life. I love to help others with their creative process and to understand and reduce the impact of the selves (such as the Critic and the Perfectionist) that disrupt that creativity! I’ve been a Counsellor for 15 years, assisting clients with many different life challenges. As a Counselling Psychologist, I use an integrative approach, drawing upon the wisdom of various therapeutic approaches. I have found that Voice Dialogue is a wonderful counselling tool. I am available to work with individuals and couples in person, by phone or through the internet. I run groups in the UK and I am happy to come to work with you at your invitation! Through years of exploration of consciousness, I've had many opportunities to be the client and to receive counselling. I believe this experience enhances the counselling and group work I offer to others. I’ve had my share of difficulties in this life. It's rare that we pass through life without challenges. However, I believe that when we receive caring support, even challenging experiences can ultimately enrich our lives by increasing our understanding and awareness. Additional Modalities: Body Dialogue, Dream Exploration, Person centred, Compassionate Mind, Mindfulness, Cognitive Behavioural Therapy, Journalling, Positive Psychology. Areas of Interest: Becoming aware of our selves. Holding the tension between opposites and creating choice. Learning to recognise and hold our vulnerability for ourselves and in our relationships. Facilitating the expression of our creative selves. First started my journey with Voice Dialogue in 2004. I have trained with, and assisted in the facilitation of several workshops with Ana Barner in Australia. also trained with Hal and Sidra Stone in Mendocino and Greg McHale in Australia. Now I am living back in the UK, and taking years of experience in running groups as a Psychologist and Counsellor into the arena of Voice Dialogue. I am a passionate Voice Dialogue Facilitator ready to share this amazing therapeutic model with you, through individual sessions, workshops and group trainings. My other work experience is mostly as a Counsellor and Psychologist. Outlined below. Before that I spent 15 years running my own retail clothing and accessory business which enabled me to do a lot of travel ( I have a fairly strong gypsy self!) in Asia and South America. 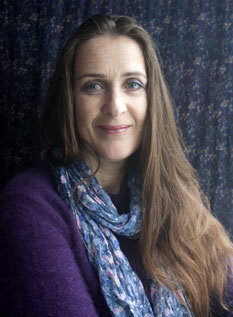 Counselling Psychologist - Establishing private practice in London area. Online, phone and in person counselling service. Group work facilitation in Voice Dialogue across the UK. Counsellor/Psychologist for Reaching Out Sexual Assault Service.- Providing long and short term counselling in Trauma therapy to Adult Survivors of child sexual assault (ASCSA); an information service for family and friends; and peer group for Professionals working with ASCSA. Counsellor/Intern Psychologist for Lismore and District Women’s Health Centre. -General counselling and mental health disorders. Additional roles: networking, reception duties, and inter-agency meetings. Drug and Alcohol Counsellor / Intern Psychologist at Riverlands, Northern NSW Local Health District. -Drug and alcohol counselling, meditation and relaxation group for those in rehabilitation and stress and anxiety groups for external patients. Intake and psychometric assessments. Drug and Alcohol Counsellor / Intern Psychologist/ Group Work Facilitator for INTRA, Lismore. - Education and process work with mixed and women only groups. Telephone Counsellor for Lifeline.- Regular counselling of clients in crisis. Suicide assessment, mental health, domestic violence, abuse, relationships, loneliness, gambling. Individual and Groupwork Counsellor Assisting in facilitation of psychotherapy training.- Training included Breathwork, Gestalt, CBT, Psychodynamic (childhood hurts), Positive Psychology. Coordinating this training environment over week and month long seminars. Co-facilitating teamwork, effective communication and group therapy. 1500+ hours group work experience.